The Moist Method is always the preferred method for applying our mineral makeup foundations. However, when applying our Rosebud Blush, this is not the desirable way to achieve perfection. 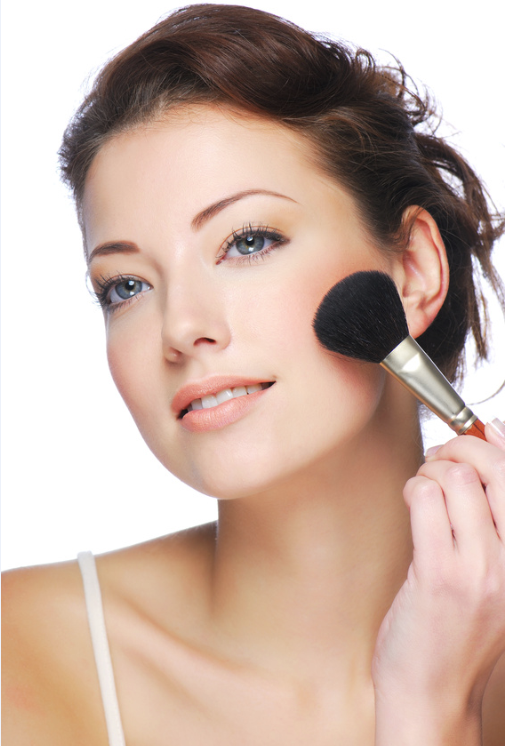 Picking the mineral blush up with a damp brush can cause streaking or blotchy color on the cheeks. That is why we have created this beauty tip for using our mineral makeup blush to yield the best results. Apply with dry brush over your foundation to achieve a gradual shading of the cheek. Remember different shades offer different intensity. For helping color to pop, spritz with a moisture mist of distilled water or our Perfect Balance Facial Toner. This will also help set your makeup. For a creamy application similar to a cream or stick blush, lightly spritz moisture on your face first. Now press with foundation brush to set the makeup and to draw away excess moisture. Now follow with a light pressing or swirling motion of your favorite blush shade on the apple of the cheeks. Make sure the cheeks are only slightly moist. This will give a beautiful intense color and will meld with your skin for an awesome natural flush of your cheeks. So whether you desire to apply your mineral makeup blush dry and then set afterward, or apply to a slightly moistened cheek, the finish will be one of a natural, healthy glow. Final Tip: You can apply dry, and after you spritz to set the color, you can then take the blush residual left on the brush and lightly go over the cheeks again to further intensify the shade and give a seamless look to the overall mineral makeup application. Always remember to blend, blend, blend. This will create the Flawless Finish women are looking for. Little Beauty Tip: If you get a bit too much color, just go over the cheek area again with your foundation shade to help soften the color to a more natural transluscent finish.